Whether you are an avid tennis player or dedicated tennis fan, there are certain places you should go to get your pro tour tennis news. With thousands of sites out there today not every news source is the same. Here are some of our top choices for you to get the best news around the globe. 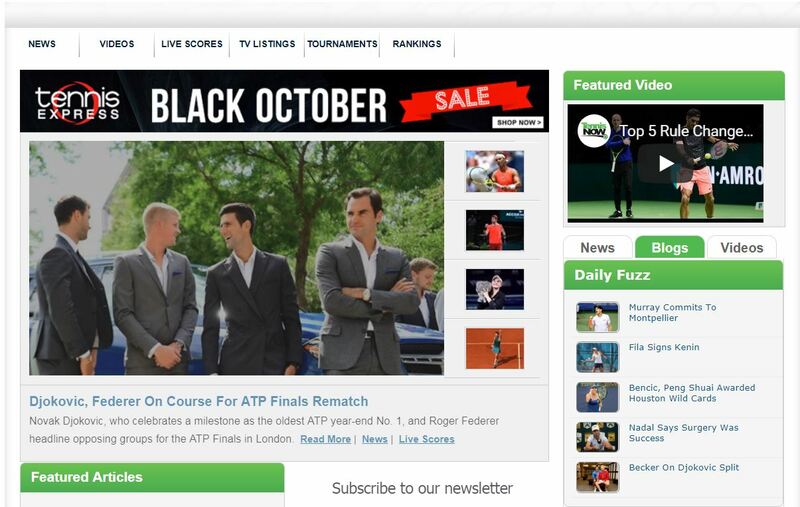 This is the most visited website for men’s professional tennis updates. This is the official source for the latest news on the ATP Champions Tour and ATP Challenger Tour. The site features multiple ways for fans to stay connected to their favorite players and tournaments. There’s live score updates, stats, current rankings, tournament info, news, video highlights and live listening. Fans can go to their website or download the ATP/WTA Live app to stay up to date with all the action. For tennis enthusiasts that want to continuously watch tennis even on the go can subscribe to TennisTV for a monthly or yearly fee. This is the best website for women’s professional tennis updates. 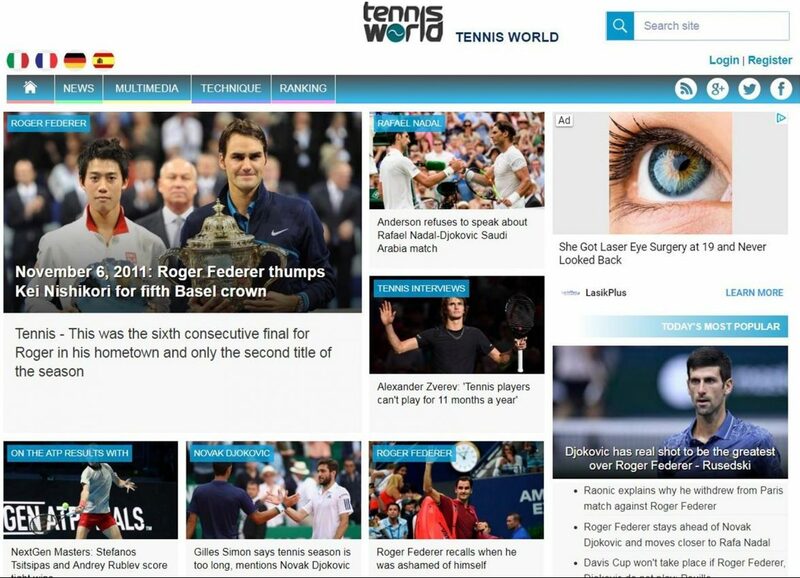 You can get the latest news on WTA tournaments, ITF tournaments, Fed Cup matches and World Team Tennis matches. There are multiple ways for fans to stay connected to their favorite players and tournaments throughout the year. Similar to the ATP website there’s score updates, stats, rankings, tournament info, news and more. Additionally fans can join a WTA Fantasy league to compete against friends and win cool once-in-a-lifetime prizes. Tennis Now is one of our favorites to get the latest updates on the pros. This site has the latest news, blogs, forum discussions, videos and scores so you can stay up to date. 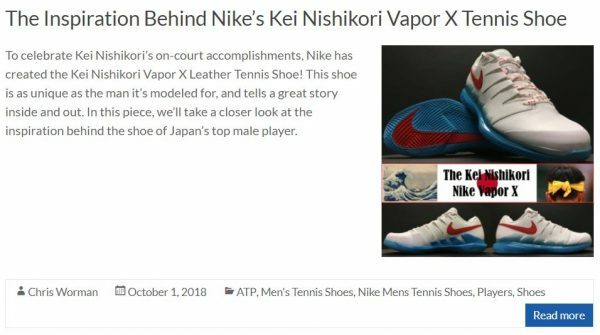 Fans can subscribe to the Tennis Now newsletter and YouTube channel to stay current with tennis trends. You won’t be able to view live matches, but there are plenty of highlight videos so you don’t feel left out. The live scoreboard will show all matches for the ATP and WTA circuit including challenger/future tournaments. True diehard fans are able to bet on match outcomes through Unibet. This website goes hand and hand with Tennis Channel so you know you will get everything tennis related. There are break downs on player news and tournament outcomes along with player apparel and gear. Reviews on the top products the pros are using and how it can benefit your game. There are live score updates as well as highlight videos on all the pro tour matches. For an added fee you can watch live matches from your mobile device or computer. Fans can also stay connected through their phones or tablets with the Tennis Channel app. Please note: the app will not have all of the same features for free. Not only will this site keep you up to date on the world tour, but also allow you to follow top tour players closely like Federer, Nadal, Djokovic, Murray and Serena. Anything related to the top pro players will be seen on this site. You can watch or read interviews with pros, and here thoughts from previous or current players. If you are looking to improve, there are videos and articles on great tennis techniques. You can also get the latest news on division 1 college tennis, top tennis academies and the challenger tour. Note: this site has several pop-up ads that may slow down your computer or phone. 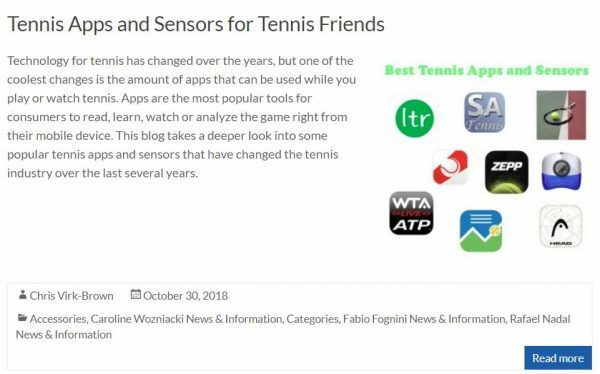 Tennis news will continue to change over time, but these sources will help you stay up-to-date on your favorite sport. For the latest and greatest products that the pros are using, check out Tennisexpress.com today!